Compact sport utility vehicles have taken over, there is no question about it anymore. They have been outselling compact sedans for a few years now, and their popularity shows no sign of slowing down. It’s actually not that difficult to explain why compact SUVs are so popular. They offer more space and more versatility, and with recent advancements in powertrains, they are almost as fuel-efficient as a car now. Two examples of just how good compact SUVs have become can be found in the all-new 2017 Honda CR-V, and the 2017 Ford Escape. These two SUVs rank among their segment’s best-sellers, but ultimately these are two different models aimed at different types of buyers. In order to decide which one is right for you, it’s important to determine beforehand what your needs are. For example, if you are in the market for a sport utility vehicle that stands out in terms of comfort, fuel-efficiency, and interior space, the 2017 Honda CR-V will offer you everything you need. Let’s explain why. We all want a fuel-efficient vehicle, that’s a given. Regardless of the type of vehicle we drive, no one wants a vehicle that is hard on gas. 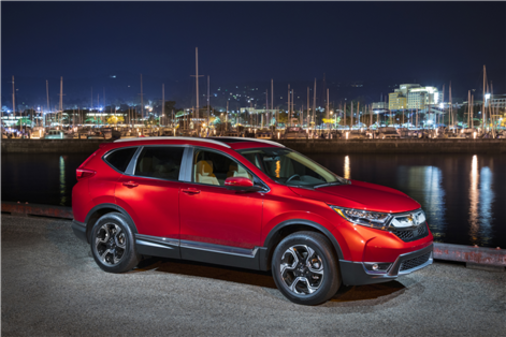 Honda understands this very well, and that’s why the automaker decided to include a turbocharged engine for the first time in a CR-V. The new 1.5-liter, four-cylinder engine delivers 190 horsepower, and 179 pound-feet of torque. That’s more horsepower than the 2017 Escape’s entry-level engine, and more than its 1.5-liter optional engine that delivers 179 horsepower. Moreover, the 2017 Honda CR-V also features better fuel economy with a posted average fuel consumption rating of 8.7 liters per 100 kilometers in the city, and 7.2 liters per 100 kilometers on the highway with all-wheel drive. The 2017 Escape, on the other hand, has an average fuel economy rating of 10.7 liters per 100 kilometers in the city, and 8.3 liters per 100 kilometers on the highway with AWD. Along with its more powerful yet more fuel-efficient range of engines, the 2017 Honda CR-V also stands out when it comes to interior space. Indeed, there is 1,110 liters of cargo space in the 2017 Honda CR-V with all seats in place while the Ford Escape offers less than 1,000 liters with the rear seat up. The same can be said about the CR-V’s interior space compared to the Escape’s when you lower the rear seat. 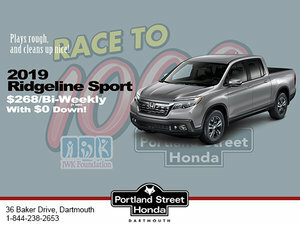 To learn more about the 2017 Honda CR-V, contact us today at Portland Street Honda!